If you know an adventurous, science-loving teenage Mighty Girl looking for a challenge this year, Inspiring Girls Expeditions is currently accepting applications for their free wilderness expedition science program! This year, the non-profit organization is running seven different expeditions, including ones focused on mountaineering on an Alaskan glacier, rock climbing in the Rocky Mountains, hiking in the Swiss Alps, and sea kayaking in Alaskan fjords. 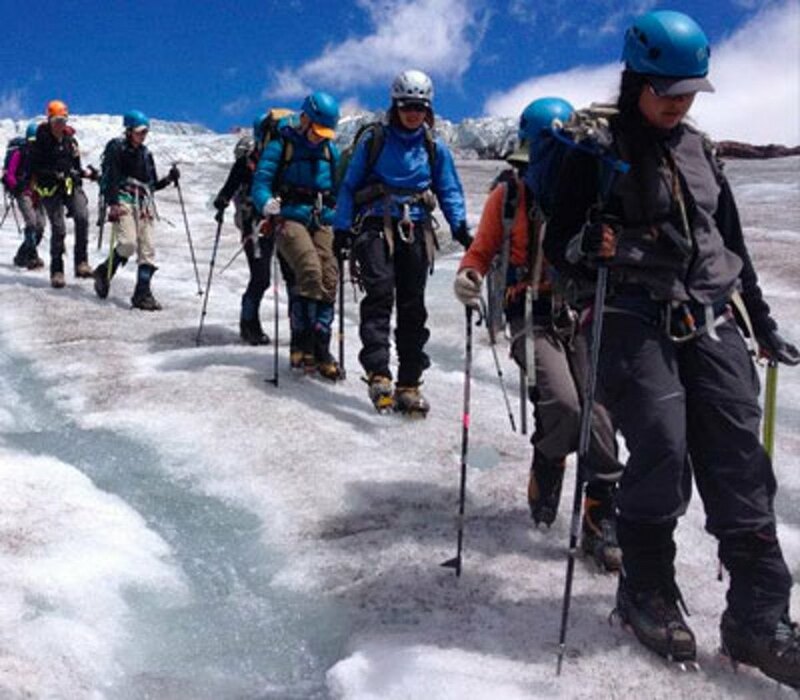 On each trip, a small team of girls will spend up to 12 days exploring and learning through scientific field studies with professional glaciologists, ecologists, mountain guides, and artists. The original expedition, Girls on Ice, was launched by Michele Koppes and Erin Pettit in 1999, on the Cascade River in Washington State. The program expanded in 2012, when Pettit partnered with the University of Alaska Fairbanks to mentor several graduate students to run the program in Alaska. Since then, Pettit has mentored additional guides and instructors, adding expeditions in Canada and Switzerland, as well as other locations in the United States. As a result, the organization now calls itself Inspiring Girls Expeditions, and they’re constantly looking to expand to add even more adventures. All expeditions are tuition free; participants provide transportation to the program site, but the organization provides as much financial assistance for travel as they can to ensure that every girl can go regardless of economic situation. They also provide all technical equipment and clothing needed for the expedition. If you know an adventurous teen who might be interested in Inspiring Girls Expeditions, applications for the 2019 program are now open. Details about each expedition, including age requirements, are listed below. You can also donate to Inspiring Girls Expeditions to allow them to reach even more young women or volunteer as an instructor, guide, or “Gear Fairy”. By supporting them, you’ll give girls an unforgettable experience that can truly change girls’ lives. To learn more about Inspiring Girls Expeditions, to donate, or to apply for one of their expeditions, visit Inspiring Girls Expeditions website. Preference to applicants from Switzerland and surrounding areas.